Two SAFE STRIP technical papers will be presented at the upcoming ITS World Congress in Copenhagen, Denmark taking place from 17 to 21 September 2018. A presentation of the project will also be done by the project coordinator Erwin Vermassen, ERTICO – ITS Europe at the ERTICO-ITS Europe stand in the exhibition area and during the invitation only ITS Services Interoperability workshop. The papers have been written by a common effort SAFE STRIP partners SWARCO and CERTH. Paper EU-TP1131 – User – centred approach for C-ITS solution proof of concept will be presented as part of the technical paper session TS32 – V2X Solutions & Concepts by Maria Gkemou, CERTH. The paper presents the iterative user-centred approach that has been followed for the prioritisation and full definition of the Use Cases of a revolutionary C-ITS integrated technological solution newly introduced in the SAFE STRIP project. Paper EU-TP1558 – Intelligent Road Marking Systems enabling future connected mobility will be presented by Silvia Capato, Swarco Mizar in technical paper session TS38 – Traffic management and connected infrastructure 1. The paper describes the added value of the intelligent road marking system to be developed within the SAFE STRIP project, meant to make roads self-explanatory for all road users and all vehicle generations. Cross-project consultation meeting will focus on interoperability and standardization of ITS services On the 23rd of May 2018, a first workshop was organized with as its main goal the review of cross-project services interoperability. The goal of this series of workshop is to identify common functionality and data needs by the different services developed and deployed by the participating projects. A follow-up project is organized during the ITS World Congress in Copenhagen. Focus of this project is the further completion of the already identified services and identify the common data sets and functionality they need to operate. The organiser Erwin Vermassen, ERTICO – ITS Europe, will represent SAFE STRIP at this meeting. 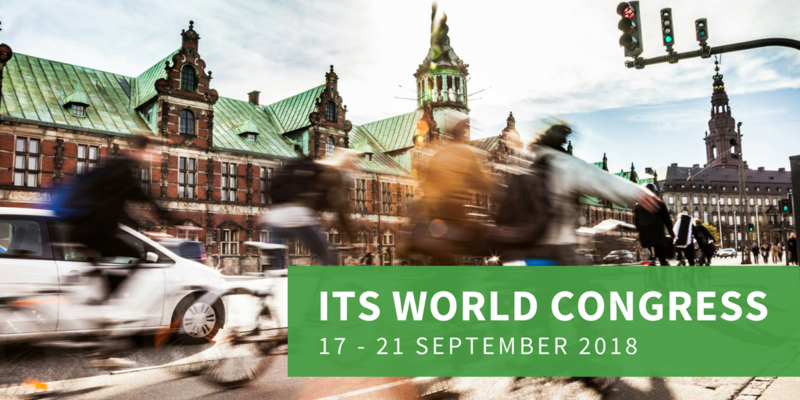 For more information on the ITS World Congress, visit the website. Our address: ERTICO – ITS Europe Blue Tower – 2nd Floor Avenue Louise 326 B-1050 Brussels Belgium.